The Patoli or Paruppu Usli or Sandi Podi (as we call at home) with Guar Beans is a very yummy and filling curry. These beans are called as ‘Goru Chikkudu’ in Telugu. These beans are very famous in Andhra. Wash and soak the chana dal in enough water for 2 or 3 hours. Then wet grind the dal along with the red chilies, cumin seeds and the salt into a fine or coarse paste. The paste should be of thick consistency just like we make for the vadas. Keep it aside. Wash and cut the beans into tiny pieces after removing the ends and strings. If the fresh cluster beans are not available, the frozen variety also can be used. With a little water boil the beans either in the microwave or pressure cooker. In a non-stick pan, heat the oil and add the chana dal paste. Fry well and leave it for some time on a medium flame with a lid on top. Keep stirring it now and then. When the chana dal paste looses its raw taste, add the cooked cluster beans and mix well. Leave it for some time covered. The aroma of this curry when being cooked is so good. Keep stirring the curry now and then so that no lumps will be formed. After some time switch off the flame when the curry appears cooked. Enjoy with hot rice. This curry is the best combination when eaten with Pachi Pulusu. I love parrapu usli..picture is so tempting!! Usli looks very delicious... Great click. I use tuvar dal for usli. Next time i shall try with chana dal. looks nice.. usili with moor kuzhangu is very good combi..nice entry.. thxs for sharing..
Never tried it. Look delicious. My mom used to make these very often..yum! 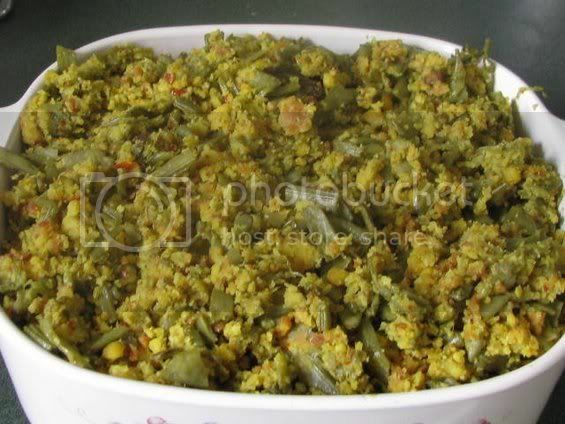 i made cluster beans ki sabzi but in a different style.. this is somthg new to me.. will try this soon. Looks delicious. I love this one. i have the same container! Cluster beans are among my favs. I make them in a very different way. You have an interesting variation here. 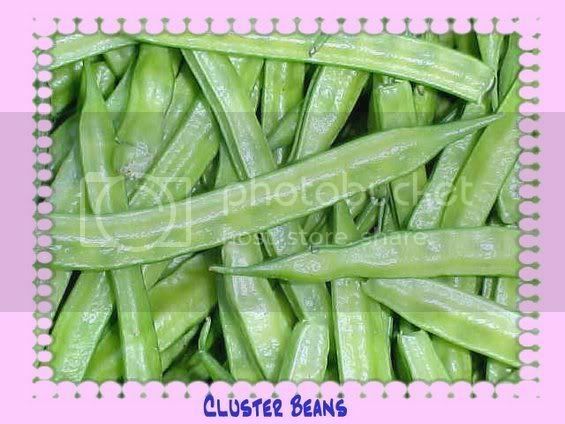 i love cluster beans....but i didnt get a chance to cook hre. Equal amount of dhal and bean sound very interesting and new recipe Uma :) We make it too but different way! Got to try ur delicious curry when i get some cluster beans next time! I love cluster beans..I make it with less amt of dhall..nice recipe..
Patoli is my favorite too Uma. But instead of frying the channa daal paste, we also shape them into vadas and steam it in the idli plates, let it cool and then crumble it and then add it to the vegetables. What I do is I cut the idlis into small pieces and keep it in the freezer for 10 minutes. Then if you run it in the blender, it will powder so nicely. This method consumes less oil. Have you tried Bee's Aparagus Patoli? It's so good. I too made this and posted on my blog very long time ago. I learned it from my mother in law. We add a little coconut powder as well. Your version is also looking great. Usili is my favorite! Pic looks very inviting.. I usually make with cabbage, but never tried with cluster beans. Looks yummy uma! that looks inviting! a new recipe for me with cluster beans! come and join in the chicken event going in my blog! 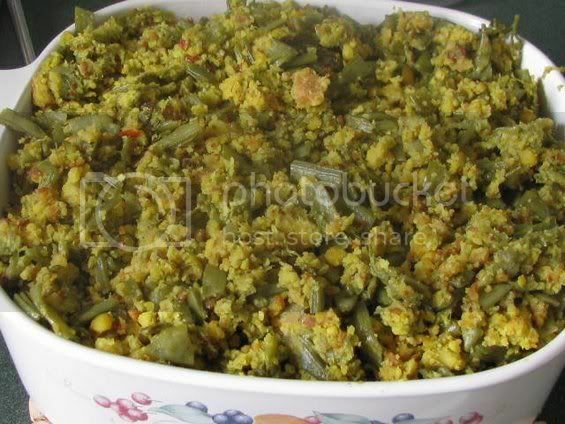 Oh I love guar, but never made this way so will try soon. Very nice recipe, look yummmmmm and ur pics are mouth-drooling. Thanxxx for sharing this recipe!!! I made the same dish a few days ago, only I used a combination of toor dal and moong dal, ground it coarse and steamed it - I can never fry it right directly in oil. I make this with some other veggies too, in fact, there's a recipe somewhere on my blog. Never knew pachi pulusu was the traditional combination - have been thinking about making that as well! It's been a long time. looks yummy. we call this paruppu usli(tamil) and its my fav! have tagged you, please check my blog and collect it. 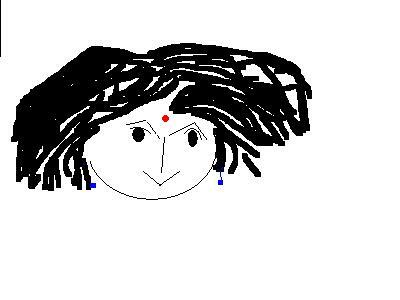 have started blogging in my new blog..chk it out uma.. Remember this as paruppu usli (just like many others here). And I love it with beans. Love all your traditional recipes. paruppu usili with beans (anykind) is my favourite curry, goes great with mor kozhambu. Lovely photo- mouth watering. on a first glance i taught coconut will also there...later came to knew thats bengal gram mixture..looks tempting..
this is one veggies I always despised Uma.. dunno why. but urs is tempting.. guess, I shud give it a try..:) Hope you are doing good! Usli looks really good. Using chana dal in usli is different from what I do and sounds like a good variation. Looks very healthy and delicious Uma...and nice template of your blog! 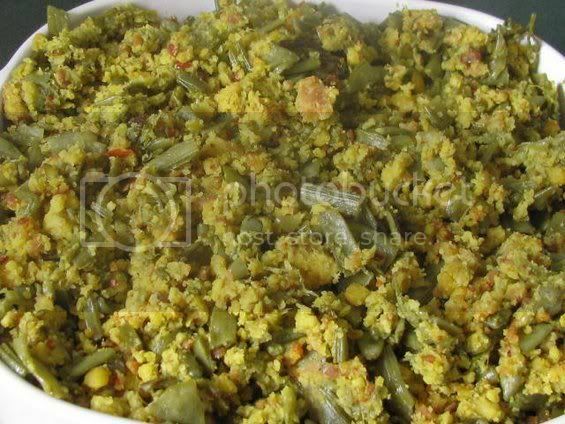 My mom often makes paruppu usli (using toor dhal) with cluster beans... since I love that, I'm sure to love this patoli too... looks delish. I use tuvar dal like many others have said already. Must be a regional variation. Must try this version - chana dal tastes good anyway! It's a nice healthy recipe! curry is very new to me..but this looks so delicious ..
Looks delicious Uma and stunning photos! Nice Recipe with cluster beans.Love to try out soon. I make this even with moong dal and prepare without grinding and this also tastes great.